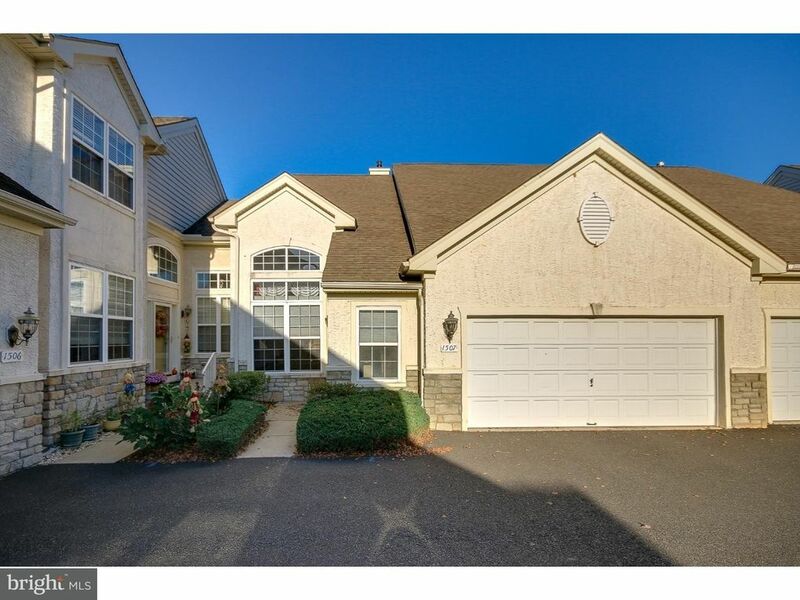 Lamplighter Village 55 plus community Features this Contemporary Colonial Rancher which offers easy one-floor living! Formal 2-Story Foyer opens into the LR/Great Room with vaulted 2 story ceiling, custom recessed lighting,Hardwood flooring and floor to ceiling windows. The gas fireplace with marble surround is the focal point of this room. The Dining room joins the Living Room to create an open floor design. Ultra Eat in kitchen with full custom ceramic tile flooring, built-in SS refrigerator, SS oven and SS microwave, SS gas range with hood and Corian Counter Top and tile backsplash. Eating Room off of kitchen continues with tile flooring, ceiling fan, and slider to 10x12 concrete patio. Mudroom / Laundry Room off hallway w/ Louvered doors & tile flooring leads to oversized 2 car garage. Mudroom offers overhead cabinetry for storage and separate laundry sink. Master Bedroom features all new neutral carpet, ceiling fan and recessed lighting. Master bath with double sink, large soaking tub and stall shower with neutral tile. Second bedroom also with ceiling fan and newly installed neutral carpet. Freshly Painted T/O. Lamplighter Village offers a Club House and gymnasium and is within walking distance. Close to premier shopping and dining in Valley Square and elsewhere, conveniently located near public transportation and easy access to Philadelphia, New York.